The 2010 holiday season is nearly here. With that in mind, Practical eCommerce is publishing a few good holiday-selling tips each week. Our second installment, provided by experienced ecommerce professionals, is below. 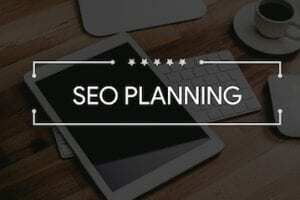 “Make sure all of your website improvement projects are scheduled to end in September so that you have plenty of time to test and launch the projects to your ecommerce website in early October at the latest. Avoid launching new projects in November or December. “Also, plan for inventory availability. Make sure vendors will commit to holding stock for you, or provide solid inventory forecasting plans to vendors so that you don’t run out of your bestselling products. In the case of long lead-time, be sure to have products on order to satisfy forecasted demand. Take seasonality into account. In many industries, holiday buying differs from the rest of the year. “Operationally, prepare your facility for the increase in inventory coming in so that you are able to manage it, with personnel and all systems ready to handle the increase in volume. Shipping on time during the busiest days is very crucial, as customers expect to get their gifts on time. “Have an escalation plan for marketing. Like any aspect of your business, all marketing and advertising aspects need to be planned in advance. Shoppers are much more likely to make a purchase in November and December than any other part of the year. “Enhance your meta descriptions so that they include any offer you are providing during the shopping season. The description tag is the first thing a user sees after the title tag on the major search engines, so make sure you’ve got a topnotch description that is going to tell the searcher to shop here. “If you don’t have a gift shop on your website, be sure to create one before the fourth quarter begins. If you already have a gift shop, start making plans now on how you can improve upon it. Monitor your sales at least once a week by creating a campaign in your analytics program tied to the gift shop page URL. When Is Holiday Season for Your Business? “When is your holiday season? Yours may be different than the traditional November-December dates.